love, life long commitment, companionship, having children and financial stability. Too many of us marry without the thought of trouble. and all the what I call "for worse". Too much preparation goes ino the "WEDDING" day---the fairytale couple of hours. Too many of us are not prepared to be a WIFE or HUSBAND. Too many of us marry with the thought of things that he/she will change? Too many of us are not SAYING YES TO FOREVER. 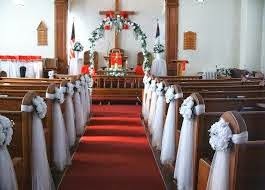 The WEDDING DAY is the celebratory event for the covenant MARRIAGE. I've heard it said like this: "The magic isn't in getting married...it's in staying married". Focus on having a beautiful marriage in the Lord, not just a beautiful wedding.